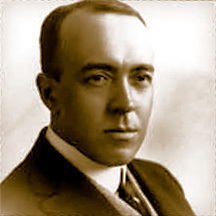 From the day he was born, in Chicago, on September 1, 1875, until he submitted one-half a novel to All-Story Magazine in 1911, Edgar Rice Burroughs™ failed in nearly every enterprise he tried. Finally he reached rock bottom. He was 35 years old, without a job, without money. There was a wife and two children to support, and a third child was exp ected soon. He could buy food and coal only by pawning his watch and Emma’s jewelry. He did, and with his next novel his future was decided forever. The novel was TARZAN OF THE APES. An astonishing success on its appearance in All-Story Magazine in 1912, TARZAN OF THE APES brought Edgar Rice Burroughs™ a mere $700, but after being rejected by practically every major book publisher in the country, it finally was printed in book form by A.C. McClurg and Co., and became a 1914 best-seller. A torrent of novels followed; stories about Mars, Venus, Apaches, westerns, social commentaries, detective stories, tales of the Moon and of the middle of the Earth–and more and more TARZAN books. 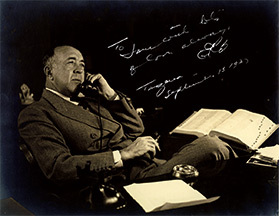 By the time his pen was stilled, nearly 100 stories bore Edgar Rice Burroughs™’ name. In 1918, TARZAN came to the screen with TARZAN OF THE APES, starring Elmo Lincoln, the first film in history to gross over one million dollars. Since then, 41 TARZAN films and 57 one-hour television episodes have been produced, each a great financial success. Although he would joke about the, Burroughs was bitterly disappointed with the TARZAN motion pictures. Often he would not go to see them. His TARZAN was a supremely intelligent, sensitive man. His TARZAN sat in the House of Lords when not otherwise occupied in the upper terraces of the African jungle. His TARZAN was the truly civilized man–heroic, handsome, and above all, free. 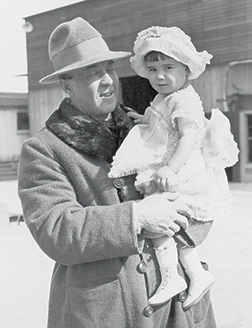 In 1919, with financial security assured, Burroughs moved to California, where he purchased the 550-acre estate of General Harrison Gray Otis, renaming it ‘Tarzana Ranch’. By 1923, the city of Los Angeles had completely surrounded Tarzana Ranch, and Burroughs sold a large portion of it for homesites. In 1930, a post office was established in the community, and the 300 residents held a contest to find a name for the new community. The winning entry was “Tarzana”. Today, Tarzana has its own park, library, a freeway, banking facilities, bowling centers, medical buildings, country clubs and a bright future for its 35,000 residents in a relatively tranquil atmosphere. 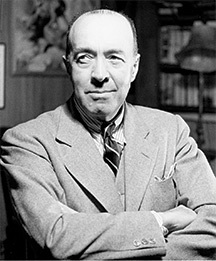 In 1923, Edgar Rice Burroughs™ became one of the first authors in the world to incorporate himself. 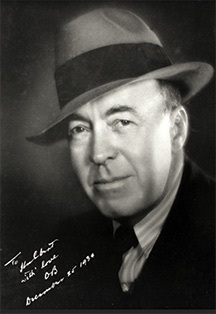 By the mid- thirties, he was “big business.” Daily and Sunday comic strips appeared in over 250 newspapers allover the world; millions of TARZAN comic books were published and sold; and a TARZAN radio serial thrilled its listeners across the country, with Burroughs’ daughter, Joan, in the role of JANE, and her husband, James H. Pierce, as TARZAN. Today, TARZAN television programs are syndicated to more than 200 TV stations in the U.S. and abroad. A TARZAN movie plays somewhere in almost every country of the world every day. With the contemporary emphasis on outer space, Burroughs’ science fiction writings are being printed in even greater numbers. Most importantly, he is gradually receiving the critical acclaim he was denied in his lifetime. No longer is TARZAN OF THE APES considered mere entertainment–for TARZAN is the “Naked Ape”, the tribal ancestor of Marshall McLuhan. And Burroughs’ wild imaginings among the stars are no longer beneath the notice of serious men; they have become subjects for scholars and an inspiration to a new generation of writers of imaginative fiction. 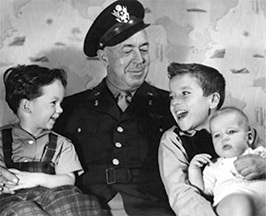 In 1942 he became America’s oldest war correspondent, covering stories with the Pacific Fleet for United Press. He returned home from the South Pacific only after suffering a series of heart attacks. 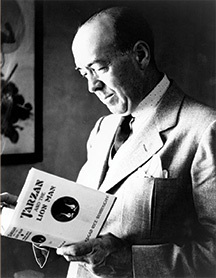 Ironically, he was unable to find a suitable home in Tarzana, and he spent his remaining years in a modest house in nearby Encino.It was there, on March 19th, 1950, that Edgar Rice Burroughs™ set down his pen for the last time.